Last fall, when Apple unveiled the Apple Watch, it only showed two demo models of the upcoming device. They were simply polished and prepared prototypes of the hardware while the software had still been running loops. On Monday, the iPhone maker gave experts a closer look at what is going to be the Apple Watch, which includes the working software. Depending on the finish and band that people select, the price of the device will start from $350 and will enter the range of thousands of dollars. The watch is perfectly nice looking if the demos are an indication. In fact, the watch comes close to beautiful in the higher-end configurations such as the stainless steel middle tier. This watch is priced at $650 and comes with a steel-mesh Milanese loop band. It is definitely one of the best-looking computers that people can purchase for their wrist. Nonetheless, it is difficult to forget that the watch is nothing more than a computer designed to be placed on the wrist. Even the most top-end versions of the Apple Watch don’t have the understated elegance that could always be associated with the high-end old-fashioned analog watches. With this device, Apple Inc. is again attempting to do something unusual; creating an electronic device that can replicate the timeless appeal that is usually associated with a piece of jewelry. However, the company just falls short of fulfilling the aim. While the band is surely high-end, the electronic watch face seems a bit chunky. This creates a mash-up of gadgets and jewelry. As a matter of fact, the watch is sort of a reminder of the first generation of the iPhone and the iPad; the Apple Watch is most definitely the most technically loaded watch you can buy yet you cannot stop dreaming about the third or fourth generation when everything will be lighter, smaller, tighter, thinner and more elegant. 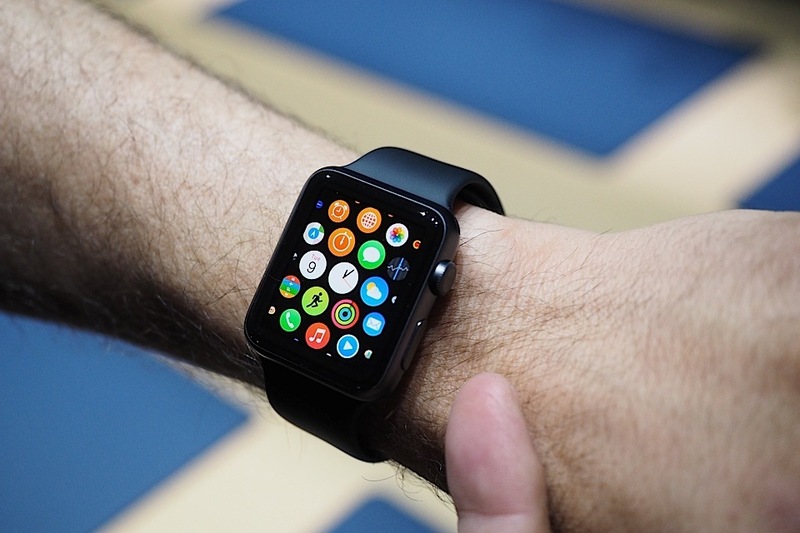 The Cupertino, California based company had highlighted the rotating crown on the device’s side last fall, which was Apple’s version of a watch dial. It had been dubbed as the next great interface due to which it comes as a surprise to find that the crown doesn’t play much of a role in the use of the watch. There are two primary uses of this crown. First, people can go to the watch’s main screen of applications when they press it. If that screen is already open, pressing the crown will display the clock. In simple words, the crown is a home button that can also be used for zooming and scrolling. But, the same things can also be done with your finger. As far as the uses of the application are concerned, people can use the Apple Watch as an email reader, fitness tracker, payment device for places accepting Apple Pay and as a texting app too. Basically, almost everything that you do with your phone can be done with the watch, only a bit quicker. In a glance, the watch allows people to interact with the digital world.